Fireworks! 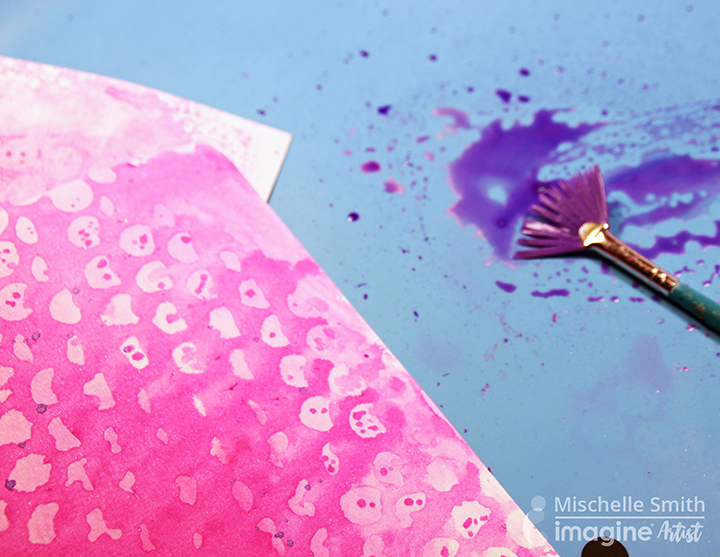 sprays add color and shimmer to any paper-crafting project. Their unique water-based formulation allows Fireworks! inks to be highly visible on both light and dark cardstock. Something no dye ink spray can claim! Fireworks! are available in a wide range of colors complementary to our Memento line of inkpads and markers, so no matter how you want to color – by spray, stamp, direct-to-paper inkpad or by marker – the Memento family has you covered. Fireworks! sprays are available in the full 2 ounce size as well as the travel half ounce size. While still wet, Fireworks! colors can be blended together on surfaces to give subtle blending for seamless effects. Fireworks! produces stunning effects on both light and dark colored papers and are available in colors designed to coordinate and complement our Memento inks. This unique, shimmering spray is fast drying on most paper surfaces. Create custom backgrounds and accents by layering multiple colors, starting with the lightest color first and allowing each color to dry completely before adding the next color. This will layer each color, building depth on your backgrounds. To add spots of color, unscrew the spray head from the bottle and either drip or 'flick' Fireworks! onto your surface. Pair Fireworks! with Memento inks for color matching or for fabulous monochromatic effects. Fireworks! are water-based, acid free and conforms to ASTM D-4236. Fine mist: Spray 12 inches from surface, allowing mist to float down onto the project. Greater Distance = Finer Mist. Large spot texture: Unscrew the spray head from the bottle and drip Fireworks! onto your surface. 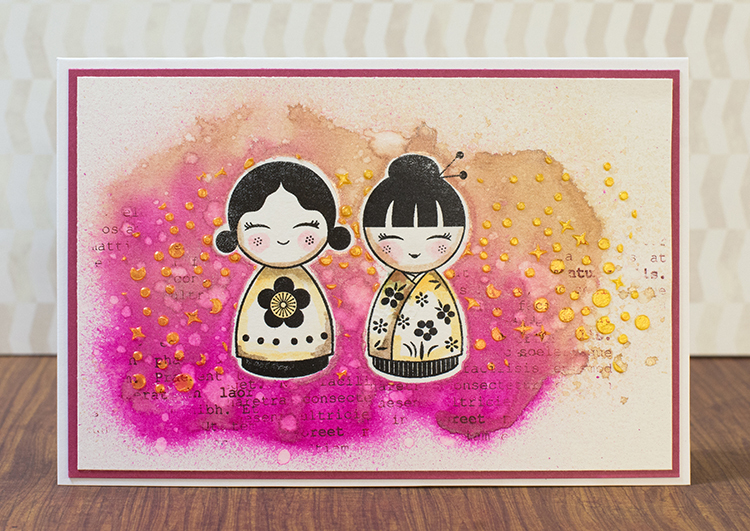 Spray over patterned paper to soften designs or patterns. Watercolor: Poor our dab onto your Craft Mat or palette to use with a water or paint brush. Use with your favorite stencils to create beautiful and bold, or subtle and soft, designs and patterns. Place stencil face-down after spraying for a reverse image. Shake the bottle vigorously before each use to distribute all the metallic and shimmery goodness. Keep the cap on when not in use. Clean the spray head with a damp cloth or run under water if clogging occurs.